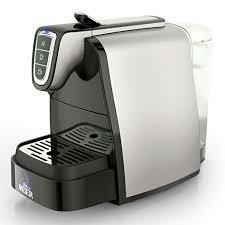 A truly stylish and elegant coffee capsule machine that has a unique design for the home and small office. 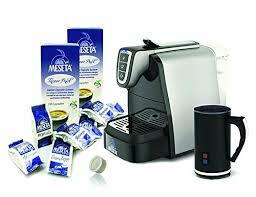 If you appreciate true quality Italian coffee then the Meseta is for you. In a few words Meseta Capsules System (MCS), a coffee in capsule to give you the pleasure of tasting a fresh coffee conveniently at home or in the office. The coffee capsules from the Meseta Capsules System are patented and work exclusively with the Meseta Capsules System machine. Furthermore, the capsules containing the coffee are biodegradable in compliance with that which is set forth by standard EN ISO 14855.